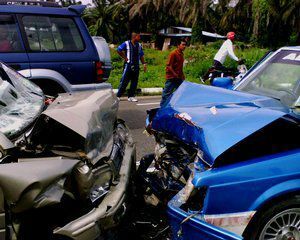 There may be more than one party who is responsible for an accident that causes harm. 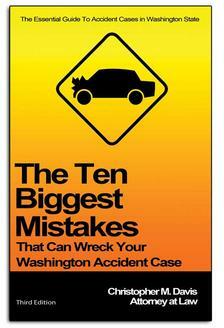 The state of Washington follows the law of comparative negligence (also called comparative fault). Here's an example: Party A and Party B both negligently cause a car accident that injures Bob. Bob's damages are calculated at $100,000. Party A was found 25 percent responsible and Party B 75 percent responsible. Party A’s share of Bob's damages is just $25,000 and Party B’s share is $75,000. Under the law of comparative fault, each negligent party is only responsible for its share of damages as determined by the jury (or a judge if the matter is tried without a jury). Under Washington law there is an exception to the rule of comparative fault. This occurs when the injured person is considered fault-free. In this situation, if there are multiple negligent parties who have caused injury to a person, then each negligent party will be liable for all damages. This means that each negligent party is also individually responsible for 100 percent of the damages and not just limited to his or her respective share of fault. Take the example of Party A and Party B above. If joint and several liability exists, then Party A is liable for the full amount of Bob's damages from the car accident, calculated at $100,000, and not just limited to Party A’s proportionate share of $25,000. This is the same for Party B, who is also responsible for the full award of $100,000 owed to Bob and not just Party B’s share of $75,000. Some people question whether the law of joint and several liability is fair or just. Sometimes a negligent party who shares a very small percentage of fault could be legally required to pay a much higher percentage of the injured person’s damages. For example, if Party A was only found to be 1 percent at fault and Party B 99 percent at fault, Party A could still be made to pay much more than its share of $1,000 of Bob's total damages. Let’s say Party B is uninsured and has no money to pay a settlement or verdict. Party A could be liable for the full $100,000. Is this fair? The rationale behind joint and several liability says that an innocent victim's compensation matters more than limiting the damages either negligent party pays. If you agree with the policy of protecting innocent victims, then the rationale of joint and several liability makes sense. Other legal commentators have noted that joint and several liability benefits society by effectively placing the economic burden on those who can afford it most (e.g., corporations, governmental entities, insurance companies, etc.) while at the same time protecting the innocent victim who has been harmed. See Guido Calabresi & Jon T. Hirschoff, Toward a Test for Strict Liability in Torts, 81 YALE L.J. 1055 (1972). How Does Liability Impact My Claim? In any event, people who have been seriously injured in an accident that is caused by more than one person or entity, may face important legal questions or hurdles about the share of damages that may be apportioned to each negligent party. Usually the most important thing to do is to preserve joint and several liability to make sure that the injured person's damages are fully compensated. What does this mean? If you settle with one defendant but not the others, then joint and several liability may be lost. Take the example above. If you settle with Party B (who has nominal insurance) and then go to trial against Party A, you accept the risk that a jury might apportion a greater percentage of damages to Party B. If the jury assigns 99 percent of the fault against Party B and just 1 percent to Party A, you can only recover 1 percent of your damages from Party A. By settling with Party B before trial, you have lost joint and several liability against Party A so Party A is only liable for her share of fault assessed by the jury. The decision to settle with one party before trial must be handled by an experienced and competent personal injury attorney. The facts of liability have to be scrutinized carefully. There are pros to settling with one party before trial, like recovering some money sooner for the injured person. But these pros and cons must be assessed based on the individual facts of that case.